. Open Sunday 4/7 til 1pm comeon by-It's time to bring in your window screens BEFORE everyone else- beat the rush! no matter what you call us we're here to help. We are your full service hardware store! You've found the local hardware store with a commitment to: service, selection, and you! Special Orders If You Can't Find It, Let Us Help! 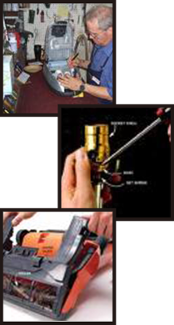 We proudly perform all our services & repairs with our own hands in our own shop. You can depend on us! Nothing is EVER shipped out for service! Low prices, best quality, unbeatable service! Contact us to see what we can do for you. Sunday: This is a little bit tricky, we're most likely closed. We do open on Sunday if there is a community need i.e Snow storm, power outage, heavy rain, storm cleanup, yard waste pick up deadline etc, if we do open up on Sunday, then we'll be opened from 9:30 to 1. The best thing to do is to call and check, then you'll know for sure.